Early in February, I visited Longreach for work. 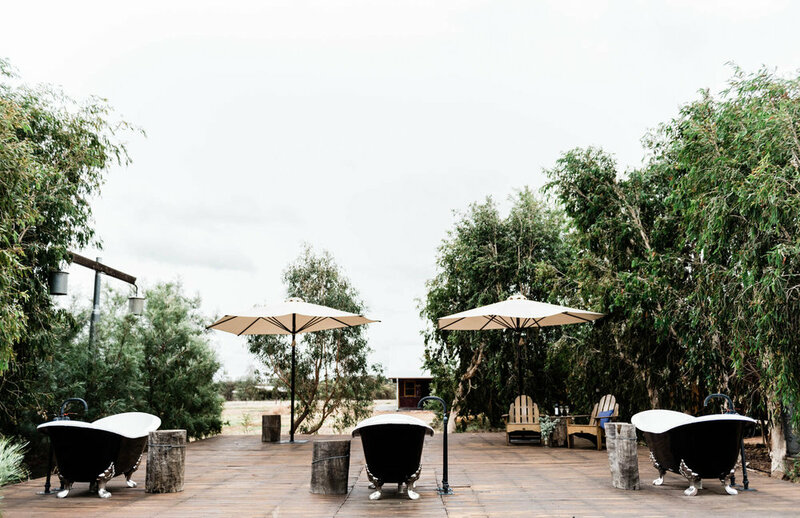 Longreach is set in the flat landscape that is Outback Queensland, and green-grey native foliage against the red soil it is an eye catching place. 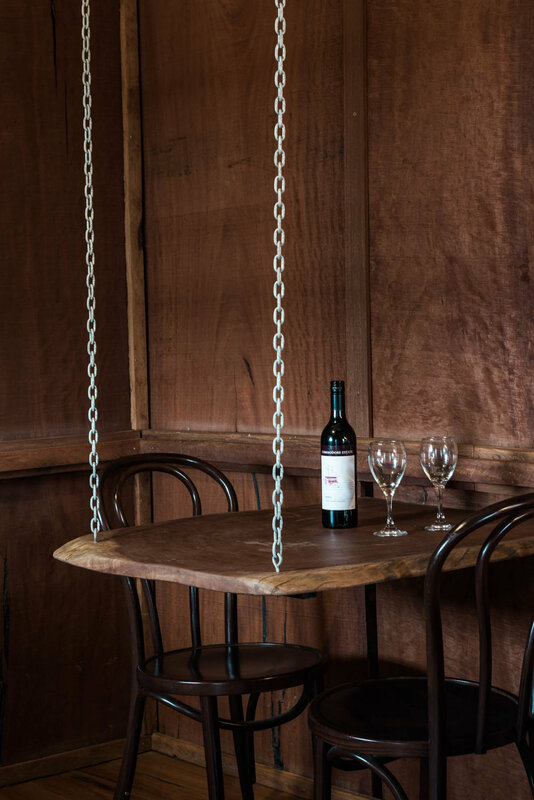 One of the properties I photographed was Saltbush Retreat. 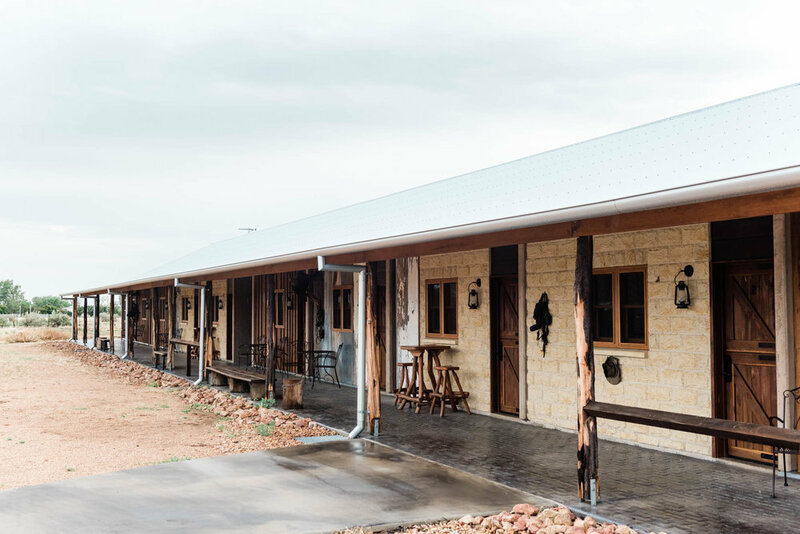 They have a few styles of accomodation but my favourites were their slab huts and stables. These are the slab huts. They are cosy little spaces that are warm and inviting. I would have loved to actually have spent time relaxing on those chairs on the front deck. 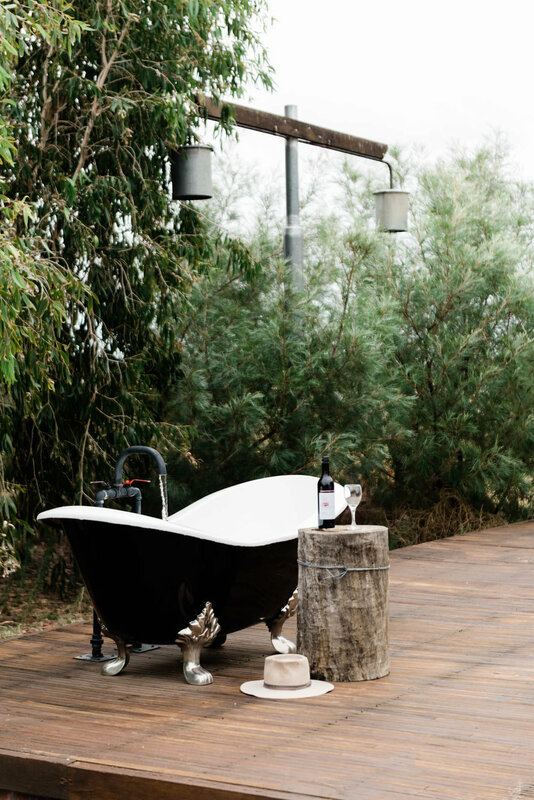 One of the special facilities at Saltbush retreat is their bath terrace, featuring three clawfoot baths, a perfect spot to cool down while enjoying an afternoon glass of wine I would say.